When you hear the name of Amsterdam, most probably the first things that come to your mind are Red District, weed, canals or bicycles. However, Amsterdam is more interesting than you think and it has many interesting facts that will undoubtedly surprise you more. I think you’re curious enough to find them out at once. Come with me to the lines below, then. When it comes to canals, one can think that Venice is the queen of canal cities. It’s not. Amsterdam has 165 canals which is more than Venice’s. The total length of the canals is 100 km. Name it as an urban legend or not, Amsterdam may be the new Atlantis. Its lowest point is 6.7 meters below sea level and it may not endure even a small increase in sea levels. Amsterdam has the highest number of museums per square. Got surprised? Come and enjoy the art in 51 world-renowned museums. There are more bicycles than people in Amsterdam. The number of them is around 1 million whereas the people’s is only about 800000. What’s your height? If you think you are a bit short, the thing that you’re about to read may be disturbing. The average height for a Dutch male is 184 cm and it’s 170 cm for the females! You’d better try to suppress your jealousy before you go to Amsterdam. The people of Amsterdam are known as the 2nd largest coffee consumers in the world. The minimum doze they consume is 140 liters per year! 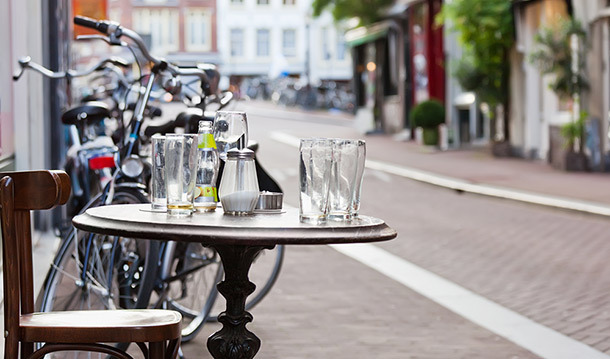 Not only coffee, but also beer is largely consumed in and exported from Amsterdam, the Netherlands. It’s the biggest beer exporter in the world. Now can you imagine what kind of a beer heaven I’m talking about? 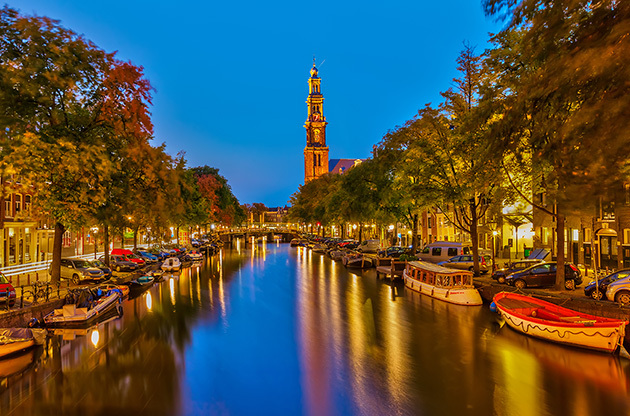 A fishing village that was founded in 12th century, which was Amsterdam, got its name from the Amstel River and the dam in it which was there to avoid the floods. Amstel and dam evolved into Amsterdam over time. The number of houseboats, which are among the popular tourist attractions, is 2500 and many of them have been afloat for nearly 100 years! Fancy a houseboat hotel? I’m happy to say that it’s possible. Are you ready for another surprising number? Amsterdam beats Venice in the number of bridges, too. 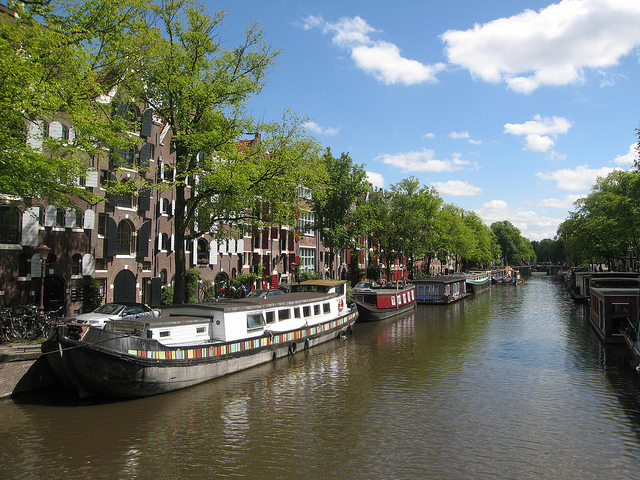 Venice’s canals have 409 bridges whereas Amsterdam’s have 1281! Have you ever heard about the bend houses in Amsterdam? I’m sure you did but you may not know much about their history. They were built for wealthy merchants, however the soil was so mud-like that they couldn’t be well balanced and started to sink into the canal!